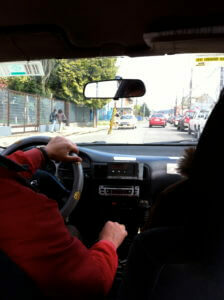 During your stay in Chile, you may very well take a taxi to get where you are going. While it may be customary to tip the taxi driver in most places around the world, this is not the case in Chile. A friend of mine who was a taxista (taxi driver) in Santiago for many years explained to me why this is the case. 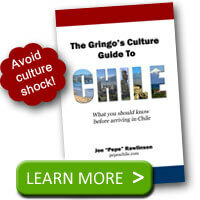 In Chile, most taxis are driven by the vehicle owners and so the fares that they earn are theirs to keep. My friend contrasted this with taxis in the United States where many are owned by companies that employ the taxi drivers to drive them. So when you take a cab in Chile, pay the fare on the meter but don’t worry about the tip. Feel free to round up the fare to an easier peso amount to pay but don’t feel obligated to pay a gratuity on top of that. If you plan on taking a taxi in Chile, be sure you have plenty of smaller peso bills and some peso coins to make paying easier. Taxistas won’t always have change for larger bills. 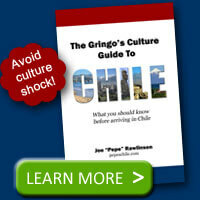 I really count on the newsletters to keep me updated about Chilean culture, holidays, history and news events. This is my only current news connection that I have with Chile where my son is for two years. So, I really appreciate it. I soak the newsletters up like a sponge. Be aware that the majority of Chilean Taxis are small cars, like the Nissan Sentras or Toyota Corollas. If 4 people are sharing the cab, it gets very tight – I had to hold the back door partially to, since 3 adults shoulder-to-shoulder could not let the door close on one side. Another travel suggestion is to use several small luggage cases instead of 1 large one since the trunk is smaller. @Mike – Thanks for adding those details. You’re right: the cabs are typically small cars, so plan accordingly. Also be aware that sometimes, if a taxi driver in Santiago knows that you are a foreigner, they will purposefully take a longer route so that it costs more, so try to make it seem like you know where you are going! I find that taxi drivers ANYWHERE in the world take advantage of people they know are not locals. It is good advice to mind this anywhere you go where you are not a local! I did find most taxi drivers good for chatting and giving you a sense of how things are in the country. Had positive experience with taxi service. Ordered a taxi to take me to airport, but then I got a ride from a friend at the last moment. I gave the driver $1000 plus a $1 (USD) for his trouble since I was canceling. He really didn’t want to take the money, but I insisted. Gas is expensive in Chile. I don’t know how far he came, but I felt like a jerk canceling once he arrived.